From time attack to drifters, the PF01EVO wheel is designed to maximize the performance of 17 and 18-inch tires. When mounted on a vehicle with over fenders, the minimum inset starts from 0 mm, widening the settable tread width range. 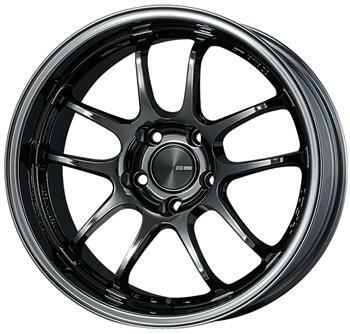 The PF01EVO wheel adopts ENKEI’s proprietary MAT process technology to ensure both the high rigidity and lightness required for an uncompromising sport wheel.